Detecting melamine in milk has become extremely easy, quick and inexpensive thanks to a handheld melamine detector developed by researchers at the Indian Institute of Science (IISc), Bangalore. Leaf extract of a commonly seen weed parthenium along with silver nitrate is used for detecting the presence of melamine in milk. The results were published in the journal Sensors and Actuators B: Chemical. With this device, the presence of melamine in milk can be detected at room temperature within a few seconds through a change in colour. The sensor has a very high sensitivity as it can detect melamine even at a low concentration of 0.5 ppm in raw milk. Melamine content of more than 1 ppm in infant formula and more than 2.5 ppm in other foods should be viewed with suspicion of adulteration, says the Food Safety and Standards Authority of India. If melamine is present then it interferes with the synthesis and there is abrupt formation of nanoparticles leading to colour change. Currently, milk samples have to be brought to a central testing facility, so very less testing gets done. But all this can change with our handheld device. 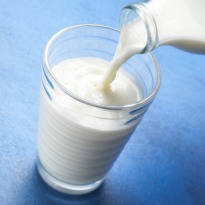 As little as 1 ml of milk is sufficient for carrying out melamine detection. The team is in the process of commercialising the product through a start-up that is incubated at the Society for Innovation & Development Centre at IISc.